BuildPro is responsive HTML 5 website template build with latest Bootstrap 3. Perfectly suited your for construction and building company. BuildPro made for experience, not just beauty but also high performance! 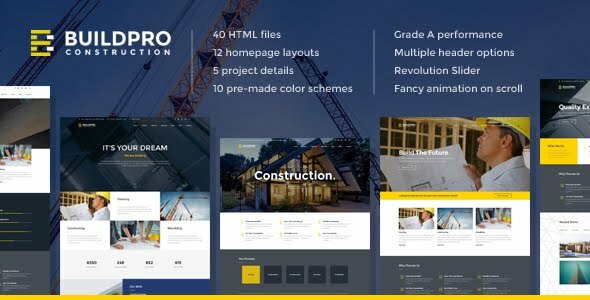 BuildPro has bunch of features to make your website stand out. Get BuildPro now!